The orthopaedic department maintains high standards in diagnosing, treating and managing musculoskeletal conditions. Expert care is provided for the diagnosis, treatment and management of conditions that affect the bones, joints and muscles. We ensure comprehensive services under the supervision of highly-experienced medical professionals in the field. Patients of varying age groups are assured with the best possible care by the medical experts, support staff and, state-of-the-art facilities. The department provides 24*7 care for all. Dr. Thomas Stephen completed his MBBS from Govt. Medical College Kottayam in the year 2005. He took Diploma and Master of Surgery (MS) in Orthopaedics from Govt. Medical College Calicut during 2007-2010 and did MRCS from royal college of surgeons of Edinburgh. 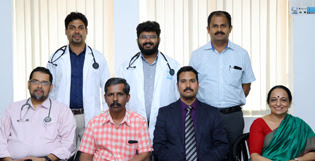 He had worked in various reputed hospitals across Kerala and abroad including Al Abeer Medical Centre, Riyadh for a few years. 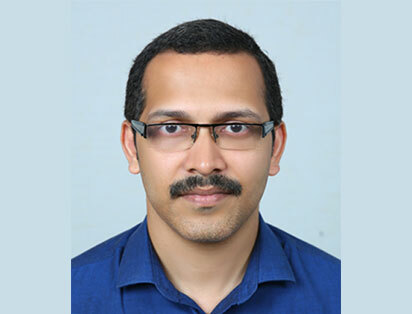 He is trained in various kinds of Trauma,Arthroplasty and paediatric orthopaedic procedures. He constantly strives to improve his skills in Orthopaedics and keenly research in the areas of joint replacement, arthroscopy and trauma.